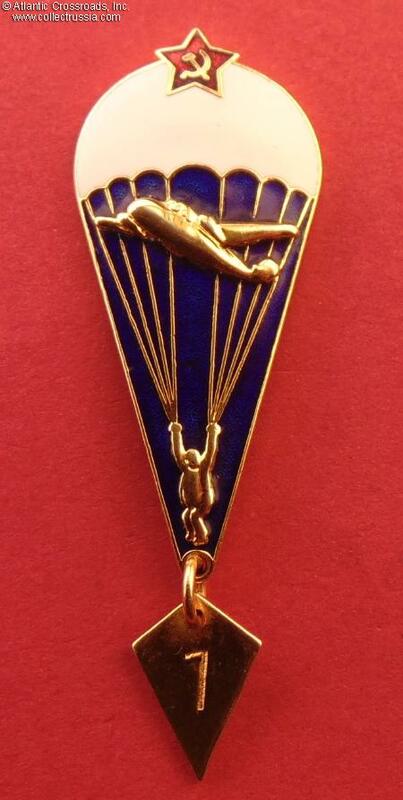 Parachute Jump badge, 1968 type, "VIP Version" by the Pobeda Factory, circa 1970s-80s. 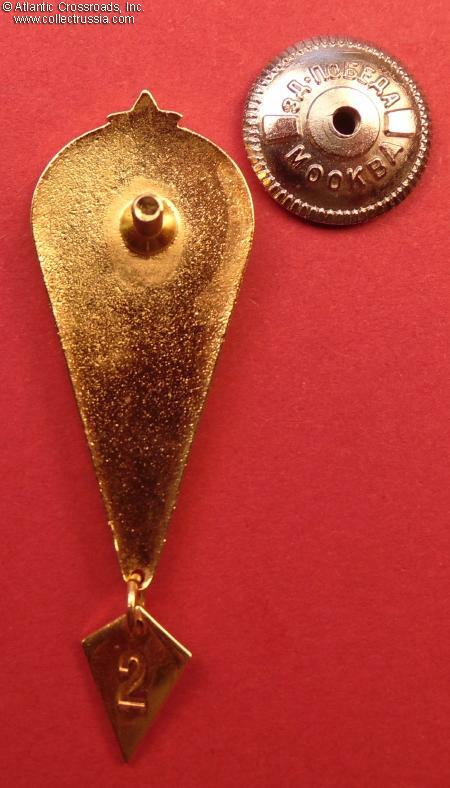 In gilded brass end enamels; measures 48.9 mm in height not including the pendant, 21.7 mm in width. 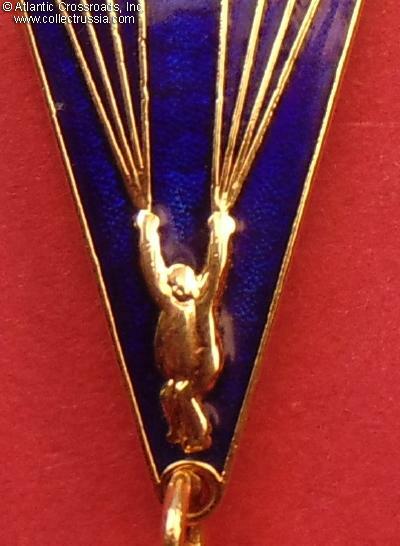 Includes pendant designating 1 or 2 parachute jumps. The reverse is without counter-relief, slightly concaved. 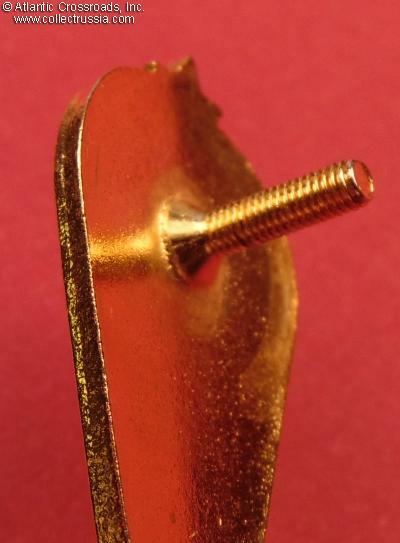 The enamelwork is of superb quality. 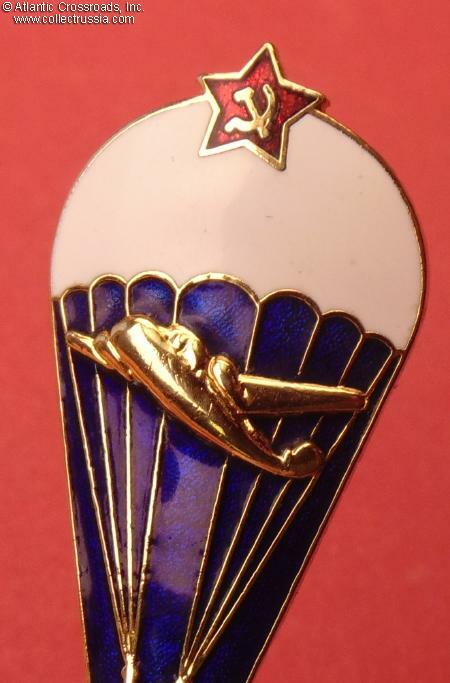 Generally, the quality of this badge is absolutely exquisite, much better than other contemporary parachute jump badges made by either the Pobeda Factory or Mint. 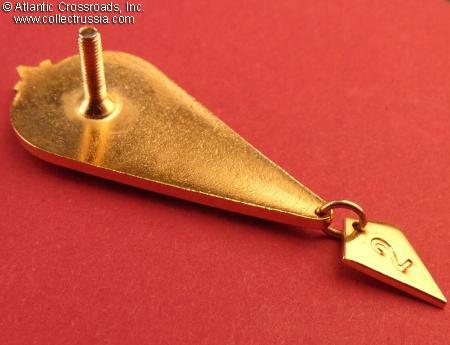 Note that details differ from standard badges, and even the pendant is of nicer quality than usual. 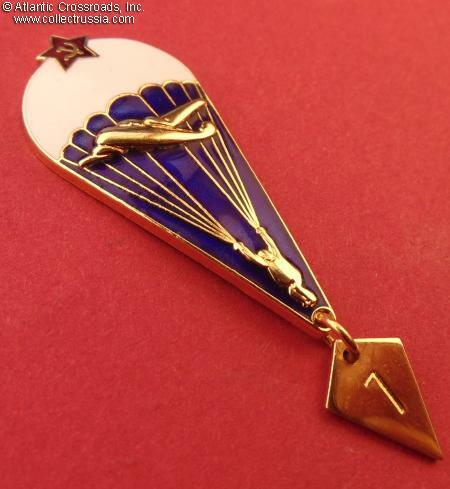 It is believed that a very small number of these badges were made specifically for top Soviet generals and marshals.